Well, that’s $200 back in my pocket. 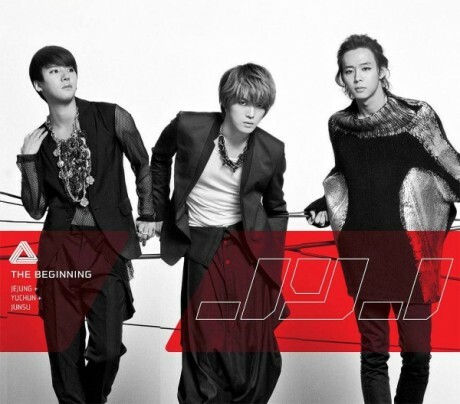 JYJ has decided to go ahead and perform for their fans in the US despite being denied of their P1 visas. Cjes Management, the management company for JYJ has stated that it is of utmost importance that JYJ keeps their promise to their fans and they have been in New York since the 9th to await the decision only to be given the disappointing news. According to US lawyers advising the team on the situation, JYJ will still be able to take stage on the condition that the performance is free and they receive no monetary benefit for the performance. Due to the fact that substantial costs has already been incurred by the promoters for production, flights, accommodations, there will still be a financial responsibility to be fulfilled which JYJ has decided to undertake this upon themselves to make the events happen. All venues have been informed on setting up FAQs on how fans can receive a refund on the tickets they bought. In addition, fans who have paid for a ticket will also receive a ticket to the free showcase. The rest of the tickets will be allocated on a first come first serve basis from Ticketmaster. The refund process will start at 12pm on the 11th November 2010. TL;DR: Apparently, JYJ came to New York early to check up on the status of their working visas, which would allow them to earn revenue from their American performances. It seems that their visa applications were denied – therefore, JYJ cannot perform and claim cash revenue for the show at the same time. There were two options: either cancel the showcases, or hold the concerts free of charge. The trio has chosen the latter. In order to pay off the expenses of the concert without the added revenue of ticket sales, the JYJ members themselves are said to be shouldering the cost burden of the showcase. Which, you know, props to them and their loyalty to their fans, but I can’t help but feel a twinge of guilt for being, essentially, a concert freeloader. According to JYJ publicists, fans who have bought tickets in advance will be able to enter the venue via a special “VIP” line and gain priority seats. After that, the show will be open to the public. Which probably isn’t as great a deal as it seems – I don’t think a single person who paid for a ticket in advance would give up their seat now…which means I’ll still probably be stuck in the back with all the non cray-crays who didn’t bother to start lining up at 9 am this morning. Total bummer for the guys, but hey – when was the last time anyone’s seen these guys perform for free? And yes, it’s probably an understatement to say that the JYJ concert organizers haven’t done the best job, what with three cancelled showcases and three more to be held free of charge…but I am impressed with one thing: their openness to the fans about the situation at hand. By coming out and directly stating the reason behind all this mess, the production staff has saved themselves (and the rest of the world) a ton of trouble that could’ve been spawned from Cassies going haywire from overspeculation. Granted, I still think that direct promotion and fan contact through Facebook is one out of many unprofessional moves by the production company – but it’d be nice to see that kind of honesty to the fans in the real K-pop world. Are you a ticket holder to the New York, Los Angeles, or Las Vegas showcases? Find out about ticket refund info HERE.